Brent's Travels: There's Something Fishy! 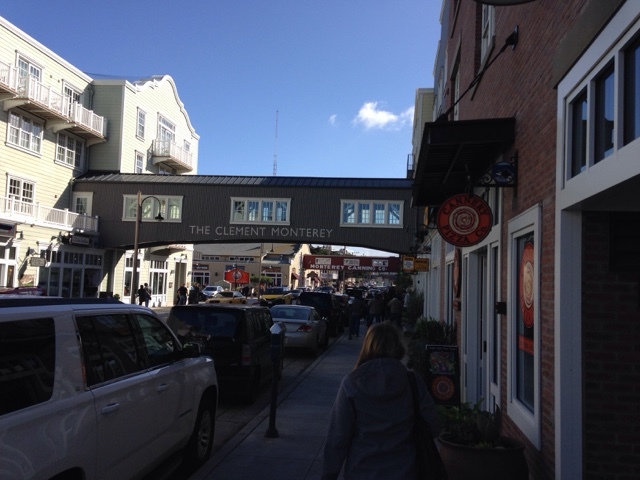 Montetey is known for "Cannery Row", now a tourist destination, that was once a thriving sardine fishing and canning operation in California. Around the Monterey area are interesting facts of the past life in the area on various panels. In reading the details on one of these panels about sardines I was not surprised to learn that sardines are from the herring family of fish. What I was surprised to learn was that the Monterey Sardines were larger than what we commonly know as sardines in the cans today. 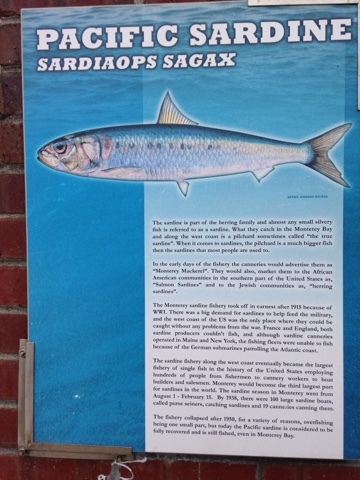 What I was surprised to learn from this information panel was that the Monterey Sardines were marketed with different names to different ethnic groups. To African Americans - "Salmon Sardines"
To the Jewish as "Herring Sardines"
I also didn't realize that canned sardines played such a significant role in feeding the troops in World War I.
I have often passed by these informative panels mounted around Monterey and other towns that I travel through. Stopping to spend the minute to read this panel gave me a whole new appreciation for what has been right in front of my face that provides interesting information. Now I'm on the look out for interesting panels. I love sardines but I buy mackerel instead because a 15 oz can costs the same as a 4 oz tin of sardines. Joseph, I didn't realize this as I don't eat them. You make a good point. I did my shopping today in a Hispanic market and they had large tins of sardines. They were labeled as sardines but in the ingredients list they were called herring. That supports what you say in your post. Thanks for the information / update.